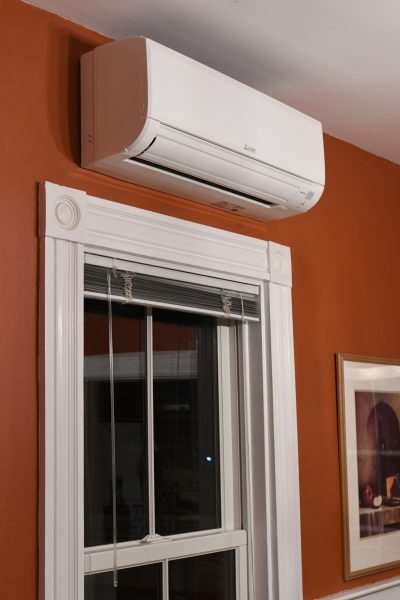 We had a mini-split (air conditioning / heat pump) system installed at our house over the last 2 days. Last summer’s heat was just so brutal for me that I had to do something to be able to come home to an already-cooled-down house. We have three indoor units driven by one outdoor unit, but will still use window ACs in a couple of spots including the guest room (sorry, Elaine!). Rebates meant that the latest cold-weather heating technology (rated at 100% output down to 5°F) was actually cheapest for us. I suspect we will actually use it for heat in the shoulder seasons, and having a backup available makes me less anxious about our 30+-year-old boiler.